On Sale £ 67.00 - all incl (No hidden extras). This is a great solution for your home or office kitchen. You get beautiful, fresh-tasting, filtered water, on tap 24/7. Never buy another bottle of plastic water again. This filter gives you equal, if not better quality than many bottled waters, while being much more convenient - freeing you from buying and hauling back heavy, overpriced bottles from the shops. Plus it is much better for the environment. No Plumbing required to install. The system has been thoroughly tested. Our efficient, free reminder system prompts you to change the cartridge. (Changing cartridges is very easy and only takes a couple of minutes). Guaranteed with a three year warranty. 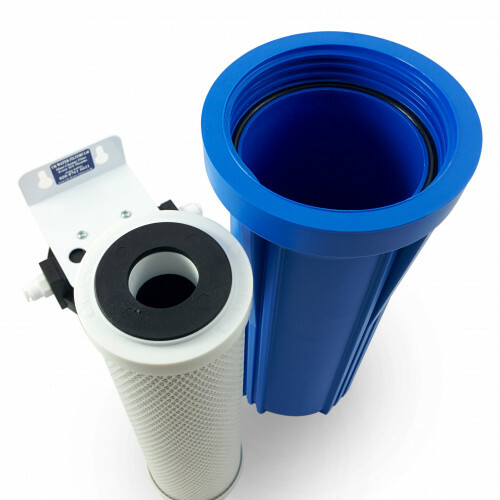 Filter easily fitted, gives 6 months of crystal clear drinking water per filter cartridge. Water on tap, no messing around with filter jugs etc. Wholly reliable company. They even remind you when to change the cartridge. What more could you want.". Independent Review by "Oldguy"
We are sometimes asked, "if these filter systems are so good, why are they not more expensive?" It's true that other retailers sell similar products at higher prices. While ours are certainly good, high-quality products we're happy to charge you less for a couple of reasons. First, we only sell on the internet. Unlike other retailers, we don't have to pay for expensive shop rents and rates. 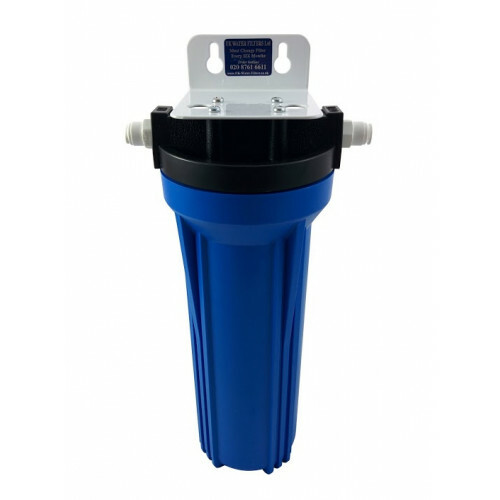 The second reason is that we have been in the water filters business for a long time and can source the best quality filters at the best prices. 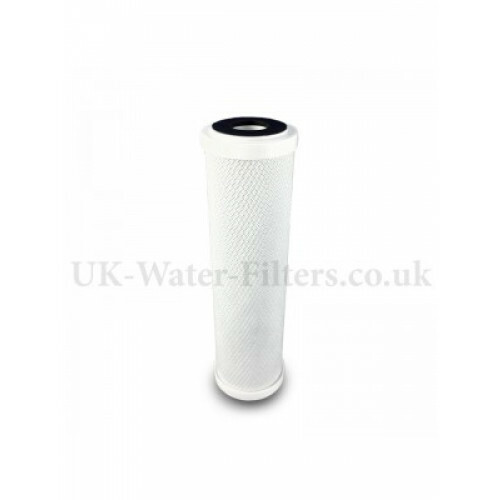 You need to replace the filter cartridge every 6 months to keep your water fresh and pure. As a returning customer you get a £2 discount off the usual cartridge cost of £15.95. or 7 pence per day! 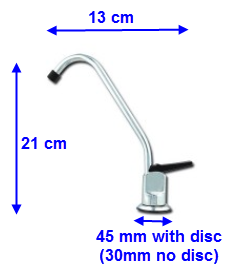 Prefer to keep your existing "normal" water tap? All the tubing you need. We supply 2 x 1m lengths. Ask us if you need more. We'll probably include it for free! Everything comes with a 3 Year warranty. Buy with confidence. We'll quickly replace anything that's broken. You could be drinking beautiful, fresh, purified water within 30 minutes of receiving your kit." It takes us 5 minutes to set up one of these systems. Of course we've done it many times, but we're saying this to give you an idea of how easy it is..
You can expect it to take you between 15 minutes to half an hour or so, to set it up yourself. (It really is a straightforward, easy DIY job. No plumber is required. But if you want someone else to do it for you, a handyman - or woman! - is all you need). Fit it once and use it forever! (These systems are very tough and should last you at least 20 years). What Type of Plastic is this Housing Made From? These housing units are made of PolyPropylene (PP). If you're concerned about plastics - we think you're right to be. Plastics like BPA's (often found in food and water containers) and Phthalates (in PVC products etc) are linked to cancers, fertility problems, obesity, hormone / endocrine disruption and God knows what else. PolyPropolene does not contain BPA's or Phthalates and is thought to be much safer because it doesn't leach chemicals like some other plastics do. Had a few minor problems due to poor installers. Finally completed myself. Low flow rate to be resolved but water clean and tastes good. Would never drink this water previously other than boiled. Customer service more than excellent. 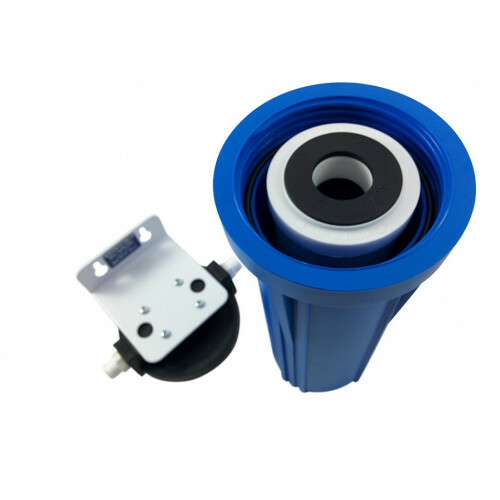 Good easy to fit filter, fits well under the sink and the tap is quite unobtrusive. All necessary bits included and easy instructions for installation. Most importantly the drinking water tests good! Great improvement in water taste and smell, I'd give it 5 stars if it wasn't for the tap which doesn't allow just to run water, I either need to stand there pressing the button or wedge a chopstick in to keep it open (it takes quite a bit of time to fill a pasta pot). Still, very good value. Had this about a week now, Easy to install one of the best things ever brought its great, never drunk so much water in my life can not recommend enough. I'd just like to let you know that the filter water tap is brilliant! And worth every penny. In fact its going to save me money as I don't have to buy filters for my Brita filter jug now! (To think I spent £60 for 6 months of Brita filters. If only I found this before). Its saving me time, as I don't have to worry about filling jug and letting it drain, before I get a glass of water, and saving space in my kitchen as I don't have to keep moving that annoying jug around! So 100% pleased. It was also so easy to fit, it literally took 30 minutes like the instructions said. I actually couldn't believe how easy it was. It helped that every part is well designed and engineered. Love the filter and wish I'd got one years ago. I have had one before at a different address and am perfectly happy with this one so far. Although it says no plumber needed, I did use one as the space underneath the sink is very small. Unless you are a good DIY person, it would be a good idea to have a plumber or handyman to do the job if space is limited. I received the water filter swiftly and recently had it fitted and I am very pleased both with the product and your follow up customer service. It seemed easy to fit, worked well immediately and good value for money in comparison to buying filters for a water jug. Excellent quality and service all round. A loyal customer for many years now and will continue to use. This company is one of the best I have ever dealt with on every front. Product easy to install, changing filters is a breeze,customer service second to none. I have no problem reccomending them. A joy to do business with. Decided to invest in a heavy metal filter for our drinking water.We chose an under sink unit with replaceable cartridges.This company provided kit at a modest price and have been brilliant in giving advice and service for the last four years or so.I even get a reminder to change the cartridge at the appropiate time based on our water usage.I shall continue to use this company and thoroughly recommend them. Customer service is excellent and product does what it is meant to do. Would recommend this company. Great company to deal with , Quick delivery , very reliable. Easy to order online, delivered quickly, very easy to install and an excellent service. I will definitely recommend this company and will be using them again. I have always found UK Water Filters helpful & very efficient, & I have been using them for quite afew years now. Just fitted the filter and it's great. Flow is fast and I love the fact that the tap has a 'hands-free' mode. Perfect when I'm washing vegetables. Yes, the water filter was fitted straight away with absolutely no problem and is just great. The filter arrived safely and on time. It was installed the day after delivery..
As I was replacing and existing filter for which I can no long get cartridges, I used the existing pipe from the copper cold water to the filter. The dispensing tap unit you supplied was better than the existing one so I exchanged these. Fitting was easy and straight forward. Received the filter, quick delivery and it's now fitted. Much tidier than my old two cartridge filter and the quality of the water seems as good if not better. I received my filter promptly thanks, and it is fitted and working fine.I bought it to replace one that I have had for quite a long time, and was unable to get the filter replacements any more. soI have been using your product for many years and have no complaints about them.I look forward to using the filter for many more years, so thank you again. Thanks again for your exemplary customer care. Yes the replacement filter did arrive and I fitted the same day. The video was so helpful and whilst my filter unit did not unscrew quite so easily it was soon done with what little water was caught by the pan I had underneath and the handy off tap on the inlet tube prevented a mains flood. Why spend a fortune on bottled water tasting of plastic when you can have it on tap tasting only like water. Thank you for your e-mail the filter arrived with in a couple of days of ordering. It was very easy to install easier than the last filter that we had, and works fine. As an added plus it has saved us room under the sink. Thank you very much could not be more pleased. Crystal clear great drinking water on tap. 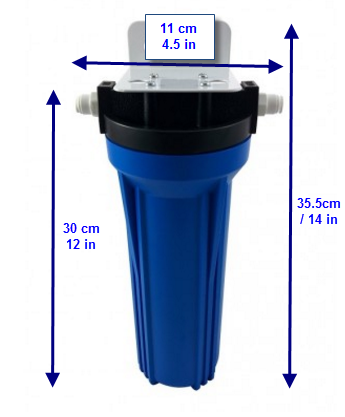 - Review by "Oldguy"
Filter easily fitted,gives 6 months of crystal clear drinking water per filter cartridge.Water on tap,no messing around with filter jugs etc.Wholly reliable company.They even remind you when to change the cartridge.What mor could you want. UKWF Note: We are fully insured. 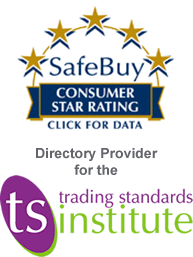 Customer was given our insurer's details without hesitation. I am very pleased with the filter and the service I received . The ordering was straight forward and the water filter was sent and delivered promptly. The filter was easy to install so it was up and working very quickly. I would recommend this product to anyone and this company. Will be back for replacement filters when required. We are very pleased with the filter and the service. Arrived without delay and easy to install, so it was up and working in very little time. I would recommend this product to anyone who likes good water, no need to buy bottled water any more. Thank you so much UK Water-Filters. I installed the filter in my Dads house as he is 93, housebound and in poor health and always getting into trouble from his carers for not drinking enough water. After filter has been in for two weeks he said that the water now tastes lovely. Installing the unit was not a problem,I had to insert a short piece of copper pipe into the plastic supply under sink as I was not sure if clamping onto plastic 15mm was a good thing. I used to run my own company installing industrial dishwashers and coffee machines which sometimes required water filters to be fitted,so no problem with pipework. I will save my pocket money and hopefully buy one for our own house. Had slight problem with O ring fitting and rang up. Sent for replacement and it arrived the next morning. They then sent email follow up to ensure everything ok.
My criteria for a good company is when anything is amiss its how it is corrected. Do you buy bottled water If so stop right now. Invest in a water filter and have nice cool water at the touch of a tap Plus Ed who sends a reminder when it needs to be changed. Tried to make it rhyme but didn't have Time. The water filter arrived the next day. It has been fitted (I needed a plumber to do it though) - it works very well and the water tastes lovely. I used to have a Seagull IV water system, but the cartridges are SO expensive to buy, I decided to install a cheaper-to-run system. I am happy to report that the water tastes just as good through this one. Thank you. Please remind me when I need to order a new filter. Installation went relatively smoothly. All seems to be functioning correctly. Water is fine. My small problem is that I'm getting a VERY slow drip from the tap. Something that I never envisaged. If I leave the premises for a reasonable period it stops, but on my return, when I take a glass of water, this very slow drip starts up again. Not a big deal, but it's not right. Solution? UKWF NOTE: We sorted this unusual issue out promptly. Customer is happy. item delivered to France in a week (very fast) installed in a few minutes producing great tasting water. The help and advice from Jon was excellent, He was very helpful in helping to try and solve a problematic RO system purchased elsewhere, when the suppliers of that product ignored all requests for help. Having been a very satisfied customer for several years, on our house move within the next 8 weeks we are definitely going to install your water filter & tap in the new property. No reccommendation really could be higher!!! These filters are easy to install and function perfectly. Also technical back-up & advice from the supplier is always available. address at 1.00 pm on the Saturday. replacement cartridges from you as and when. This water filter was delivered within 48 hours of ordering on line. Following the clear instructions it was fitted in minutes... simple. We now have great tasting, fresh, clear and clean drinking water. Many thanks for your great service and products. Followed the clear instructions … all went smoothly. I have recommended you to our local newspaper. Glad to be able to recommend a company that actually does, what they say they do: to quickly deliver the product, at a good price. It arrived Sat am and is now fully installed and working, Thanks to you we are now enjoying the taste of fresh clean water. I cannot thank you enough for your patience & understanding and your excellent service. 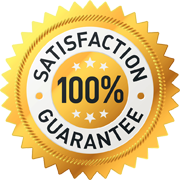 It has been a pleasant experience to meet someone with your helpful customer friendly approach you are a credit to your company. Very good filter and lovely people to deal with. Thanks !